Space is becoming more premium and the demands to do more with less increases. In the face of this, patient expectations on timely treatment in well managed and presented facilities is also forever increasing. Space adaptability and effective space management is therefore critical. Privacy is of paramount importance when it comes to patients at a hospital or other medical facility. After all, not only do many procedures and examinations involve putting a patient in a compromising or embarrassing position, there is also the potential to inadvertently pass along health information that is deemed private. Is this privacy worth further damaging the health of patients who are already sick, though? Exactly how much privacy is being afforded to your patients when the acoustic properties of the typical hospital curtain are minimal at best? 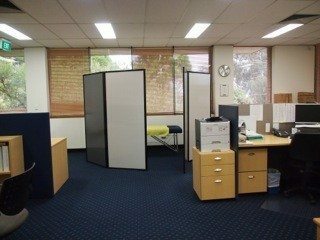 A private space, break out area, waiting room, meeting room or consultation booths can be created in a matter of seconds – for however long it’s required. Easy to fold, move and store when not in use. A specialist range of engineered acoustic polycarbonate partitions are also available. They are highly durable, 100% waterproof and easy to clean making them an effective tool in the fight against the spread of infections. According to a study featured on American College of Emergency Physicians, 95 percent of the hospital curtains studied at the University of Iowa Hospitals and Clinics over a three week period showed the presence of serious pathogens. Researchers obtained 180 cultures of swabs from 30 rooms. Forty-two curtains in all were swabbed. The study showed that two of the worst pathogens that medical facilities have to deal with — namely, vancomycin-resistant Enterococcus (VRE) and Staphylococcus aureus(MRSA) — were found on those curtains studied. Considering that many physicians wash their hands or don gloves first, then pull back curtains to address their patients, the implications of these curtains harboring potentially deadly pathogens are sobering — and potentially deadly. Polycarbonate room dividers offer an easy-to-clean alternative that is also foldable and acoustics dampening to accommodate various patient situations. With the lightening-fast spread of some of the world’s most serious bacteria and viruses, reducing the potential for cross contamination is vital in protecting the health of your patients. Whether you see them in a hospital setting, a standalone clinic or a mobile location, choosing the right room dividers is not only vital for patient privacy and for the efficient delivery of those services they demand. It is also a key factor in protecting their health. Polycarbonate room dividers are a top choice for cutting-edge healthcare providers. Not only do they provide a fantastic way to divide a room to maximise its potential, they are lightweight so they are easy to be moved without calling in a team of workers to configure the space. Of equal importance is the ability of polycarbonate to be easily cleaned. Because these panels are 100 percent waterproof and extremely durable, they can withstand the stringent cleaning protocols that are necessary to prevent the spread of today’s most virulent bacteria and viruses. Mobility is the key buzz word for many industries, and the medical profession is no exception. Pop up medical clinics that administer vaccinations, obtain donations of blood or platelets or other one-off instances of medical intervention can benefit from privacy screens that are not only effective but highly portable. Nowhere is sensitive medical information more at risk than at these impromptu mobile locations. Perhaps it is the lack of a typical clinical setting that throws patients off guard or maybe it is the temporary nature of such mobile clinics but utilising privacy dividers that provide a maximum in acoustic dampening abilities is paramount to protecting your patients. Afford-a-Wall Sliding Room Divider, White Polycarbonate for easy, hygienic cleaning. Economy portable room dividers are designed of attractive canvas in numerous colors that are perfect for non surgical, non acoustic situations, where a visual barrier is all that is needed. Lightweight to maximise their portability, these room dividers can easily customise any space that your medical team might find themselves in. For example, choose bright colors to bring a bit of warmth and professionalism for your patients during an event that could otherwise be stressful. To maintain a continuity of muted hospital colors, choose portable room dividers in beige or other soothing colors. Australia continues to find itself facing the challenges that an increase in the demand for quality healthcare and its aged population place on it. Addressing these issues while utilising the same spaces and delivering the personalised and focused healthcare solutions that today’s citizens demand requires innovative and creative room divisions. Creating flexible space solutions is not only possible — but highly effective and quite simple — when using acoustic room dividers and privacy screens. Easily segment a large room into focused areas that are targeted toward a particular service. For example, use acoustic privacy screens to obtain vital patient information in one corner to create a secluded area that clearly demonstrates that privacy is valued. In another section, room dividers allow services as diverse as blood screenings, exams and massage sessions to take place with no one outside the divider even being aware of what is occurring inside.